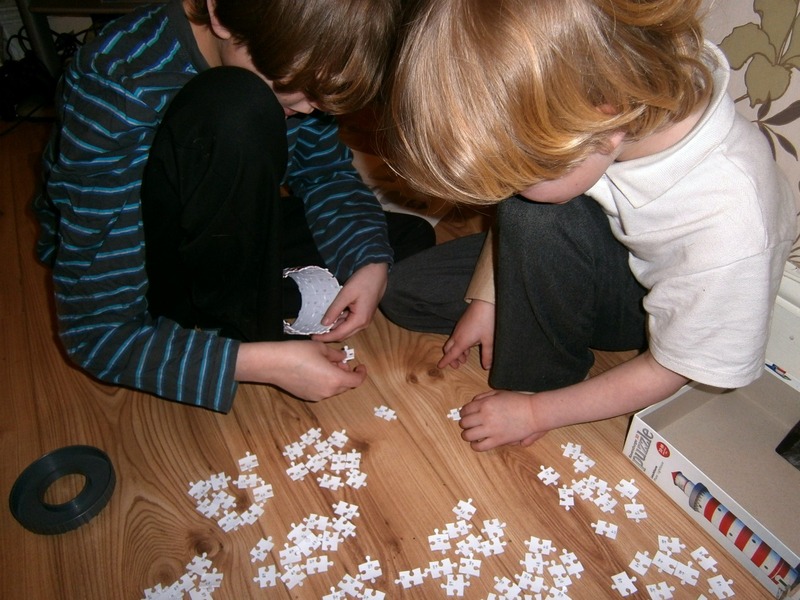 We really love Jigsaw Puzzles here, they are a great way to bring the family together when everyone chips in at the puzzle until its completed. 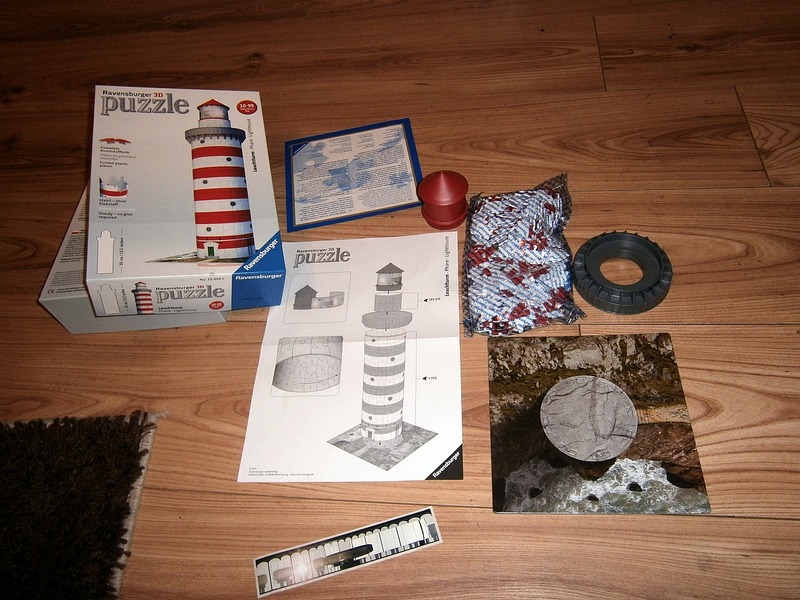 My 10 year old will happily switch of the xbox and turn to a new puzzle if it catches his interest, and anything that gets him off the xbox for a while is always a good thing! 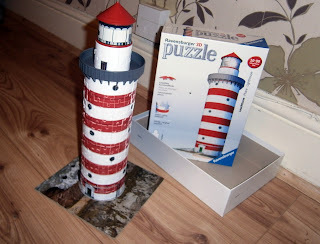 So when we were asked if we wanted to take a look at the new 3D range of Puzzle that Ravensburger have released, I thought it would be interesting to see how he managed with them instead of the ordinary jigsaws. 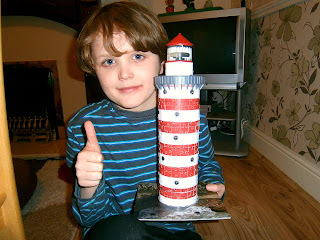 There are 4 buildings in the new landmark range, which include iconic buildings such as Big Ben, The Eiffle Tower and Empire State Building along with a eye catching Red and White Lighthouse, which was the one we were sent to review. Each puzzle is aimed at 10 years plus and contains 216 pieces which are uniquely curved, hinged and flat interlocking plastic puzzle pieces which connect securely so no glue is required. 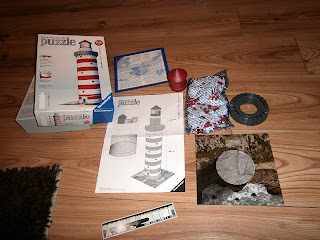 There are also plastic accessories to add the finishing touches to make a stunning end display piece. 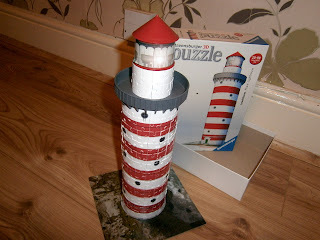 As soon as this arrived Jake was eager to give it ago, the pieces are small but he did not struggle with them and the lighthouse took shape quickly. As you build up the Lighthouse the structure gains its strength and the end model really is very sturdy. You get a base board to stand the finished lighthouse on, it stands 35cm tall and is sure to be something which everyone will admire. The current collection is available to buy from all good jigsaw stockists, and is priced around £19.99 These really do make a lovely display and with the other buildings in the range you could create a wonderful monument skyline, and if you enjoy these and collect them all, then want something more challenging, fear not as Ravensburger plan to expand the range further and include larger monuments including; Tower Bridge and the Brandenburg Gate, a great way to learn about famous landmarks! 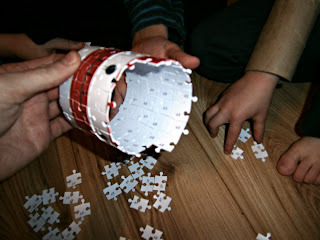 we really enjoyed building our Empire State building together, it was a great way to get the eldest to spend time with us...and not on his xbox or ipod touch! I'm impressed by your co operative children. My two younger ones were shut out of the room!